If you don’t need any of macOS Server’s Apple-specific features, the DS416play is an excellent way to share files. 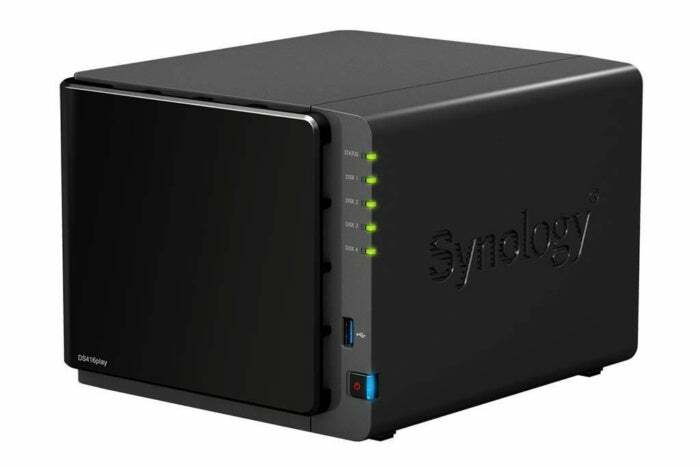 Synology’s new DS416play Disk Station ($416 without drives on Amazon) is a network-attached storage (NAS) device capable of supporting up to 40TB of storage. You can use it as a standalone server supporting all the users in your business environment, or as a media server in your house, or it can serve both business and personal needs all in the same box. The DS416play sports a dual-core Intel Celeron N3060 processor, provides hardware data encryption, offers 4-drive bays with hardware RAID, and dual LAN ports that can be configured for load balancing and fail-over. In my testing I found that the server easily supported multiple video streams to different devices while simultaneously handling large file uploads and downloads with no apparent stress to the server. According to Synology, the server is capable of handling up to 256 concurrent file sharing connections, which is more than enough for most small businesses. To get your disk station up and running you’ll first need to install some NAS-quality hard drives, such as Western Digital RED or Seagate IronWolf drives, which are designed for high reliability and to be run constantly with a low risk of failure. The DS416play will take up to four 10TB drives. Once disks are installed, connect the DS416play to your network and power it on. When your disk station is powered on you’ll use a web browser to complete the configuration. Un-configured Disk Stations can be found by typing find.synology.com in your browser’s address bar, where, once found, you’re walked through an initial setup process, including giving your Disk Station a name, creating an initial administrative account, and setting up Synology’s QuickConnect feature. This is standard fare for all Synology devices and the entire process typically takes less than 10 minutes. Synology offers over 90 service apps you can install on the DS416play. The DS416play is, first and foremost, a server that offers many of the services available in macOS Server 5, including file, mail, calendar, contact, and chat services as well as dozens of other services that I’ll talk about a little later. You manage your disk station using Disk Station Manager 6.0 (DSM), which is a browser-based interface to the server’s management features and the operating system that powers every Synology Disk Station. (If you want to give DSM a try you’ll find a live online demo here.) You use the initial account you create during the setup process to log into the DSM and begin creating Groups, Users, and setting up services. File sharing is turned on by default and as soon as users are created and you’ve granted them access to specific folders they will be able to log in to the server and begin using the file server. Synology servers support Apple Filing Protocol (AFP) which, in the past, was the default file sharing service and, pre-macOS Sierra, was required for using a Synology Disk Station as a Time Machine backup location. You can enable AFP using DSM’s control panel, but if you’re running current versions of macOS, SMB is the default file sharing protocol and can be used by both Macs and PCs. You also use the control panel to create share points, folders on your disk station used for file sharing, and to create users and groups. 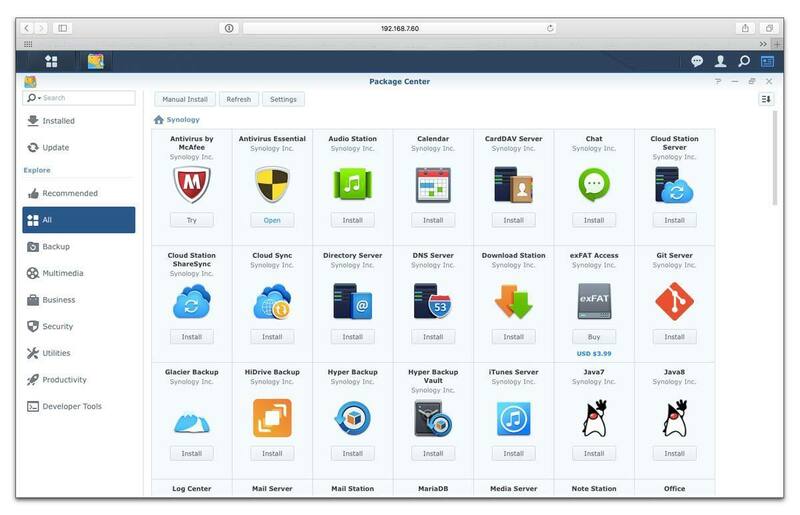 File sharing is a fairly obvious use for a Synology Disk Station, but there are over 90 other service apps you can install, most of which are free as a part of DSM, and which also offer clients for macOS, iOS, Windows, Linux, and Android devices. One of my favorites and one that I started using as soon as I got my first Disk Station is the Cloud Station Server, which allows you to use your Disk Station as a private Dropbox-like service. Install Cloud Station Server on your Disk Station and a client on all your devices and you have instant synchronization of files and folders on all those devices. The Cloud Station Server also offers a sharing feature that allows you to create links to files stored on your Cloud Station that can be downloaded by others. Synology also offers several multimedia server options, including an iTunes server, Plex server, Logitech media server, and Synology’s own Video Station server. I was most impressed by Video Station; I was able to set it up in a matter of minutes, and after ripping a few DVDs to the server’s video folder, I had a full service video server that worked phenomenally well both inside my house and remotely using iOS apps on my iPad and iPhone and Android device. In short, the server well exceeded my expectations. Synology's interface for watching videos is excellent. 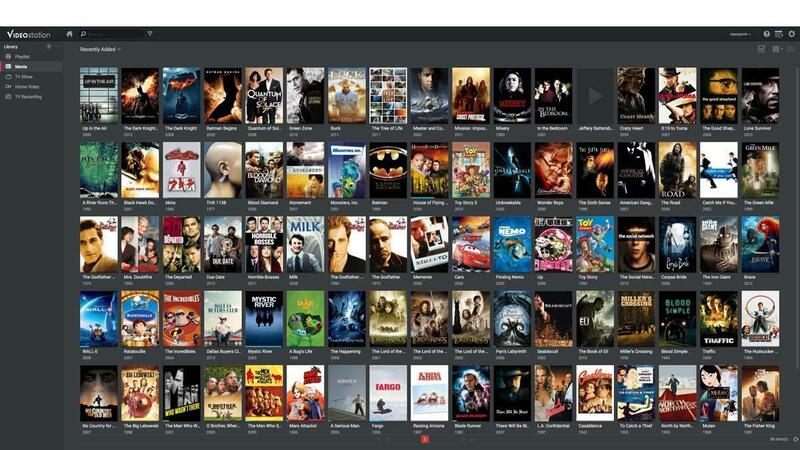 Synology offers and excellect interface for watching videos, with a few exceptions: The UI on my Apple TV became difficult to navigate after I’d ripped about a dozen DVDs; the Android app didn’t know how to play the videos; and Roku devices were a little tough to set up. In the end, the best viewing experience was either in a web browser, directly on an iOS device, or using AirPlay to an Apple TV. But, short that, Synology’s Video Station is phenomenal. Synology makes connecting to any of these services from outside your private network extremely easy using a feature called QuickConnect. Set up the QuickConnect service on your DS416play and you can use your QuickConnect ID to connect to your server from anywhere in the world. Price point? A new Synology DS416play configured with two 6TB drives costs about $886. A similarly configured Mac mini will run you about $1,530. If you don’t need any of macOS Server’s Apple specific features, such as Profile Manager, the DS416play is an excellent way to share files. The Synology DS416play is, in short, a phenomenal NAS server whether you want to use it in your small business environment or in your home. Excellent file synchronization, a host of installable features, superb media server capabilities, as well as highly secure RAID storage make this an excellent choice for centralizing file storage and providing remote access to your personal and business data.